I wouldn’t call myself a health nut, but I definitely lean towards the healthier side. I use avocado instead of mayonnaise, I add flax meal to my breakfast and I eat sauteed greens any chance I get. I know all of these foods are good for me but if you ask me what they actually do, I’m embarrassed to say I probably couldn’t tell you without embellishing a bit. I took a nutrition class a few years ago and I could’ve recited what I learned the next day, but how am I supposed to remember the vitamins, minerals and health benefits of fruits, vegetables, grains and legumes?! Well we all know that when it comes to our sweet sweet potato it’s not just our taste buds that benefit. Our beloved tuber is packed with healthy goodness and the best part is you get a big nutritional bang for your buck. Sweet potatoes have been ranked at the top of the Affordable Nutrition Index (ANI), the first tool to assess food’s nutritional value and cost to create a nutrition-value-per-dollar score. The score is based on nine essential nutrients to encourage (which sweet potatoes are full of) and three nutrients to limit (saturated fat, added sugars and sodium). The ANI was first released this past October at the American Dietetic Association’s Food and Nutrition Conference by leading nutrition expert Adam Drewnowski, PhD. Since we have so much to proud of, let’s break down the sweet potato’s nutrition profile into some basic points that are easy to remember. So the next time someone asks you why you love sweet potatoes, you can highlight their great taste and spurt out some of their great benefits too. Vision: Sweet potatoes are great for your vision because they are rich in Vitamin A.
Digestion: Sweet potatoes are a good source of fiber which promotes healthy digestion and prevents colon cancer. Cool, i need all th energy I can get. Very interesting. My father has diabetes, so he eats sweet potatoes alot now. I love sweet pototaes, I thought that they would have more sugars because they are so sweet. I read once that anything orange has a lot of vitamin a, so i guess that would be carrots and yams. 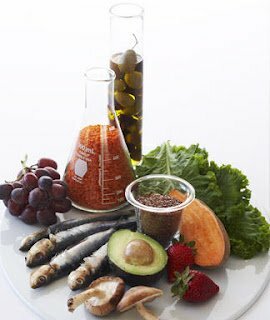 what’s in the beaker? I have been trying to figure it out. How are sweet potatoes grown ? Do they need a special climate? Are they grown by a plant? I know nothing about them but I do love them to eat. Hi Carina – Thank you for your comment. 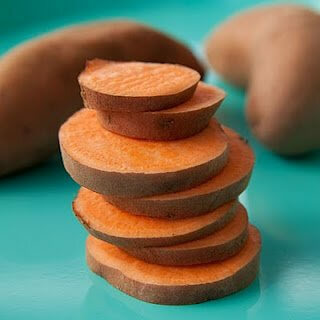 Take a look at our “How to Grow Sweet Potatoes” page to learn more! As Transplanted gardeners from PA we wasted years trying to grow our PA favorites. UNCTV introduced us to the health benefits of sweet potatoes, and how easy it is to have a very productive crop. I came upon your web site a few months ago! Thank you for the great recipes! We love living in eastern NC.